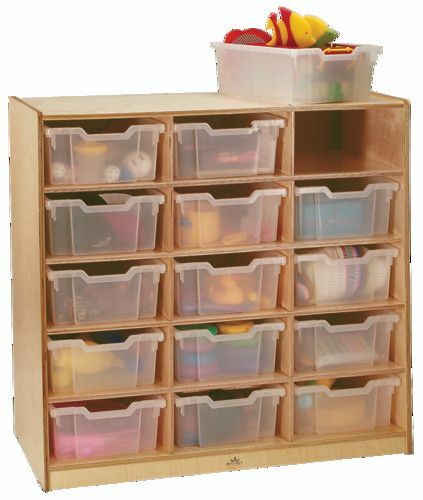 Sturdy birch laminate storage cabinets in durable, easy-to-clean natural UV finish come complete with Gratnell clear storage trays. 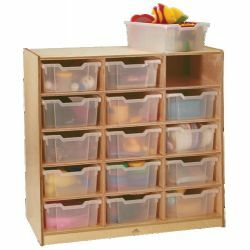 Remove and stack the trays during playtime, replace them when done and roll the cabinet out of the way when not in use, casters included. Made in USA. Lifetime Warranty. 40 1/2"W x 17 1/2"D x 42"H.